Check, check, check it out! 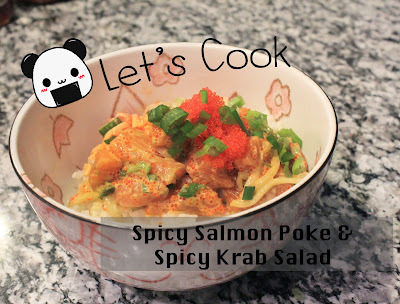 I was craving some salmon and I love salads so let's mix it up and make some Spicy Salmon salad (poke). 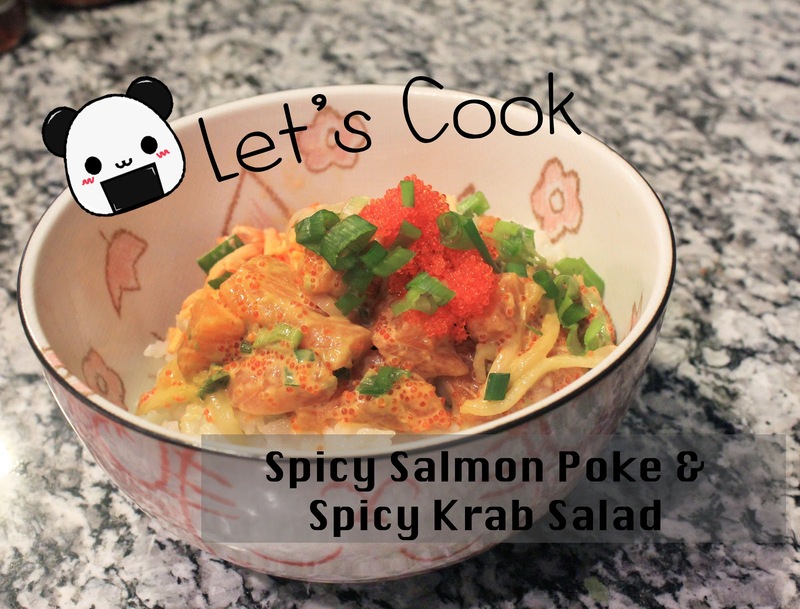 While I was at it I also made some Spicy Krab salad. 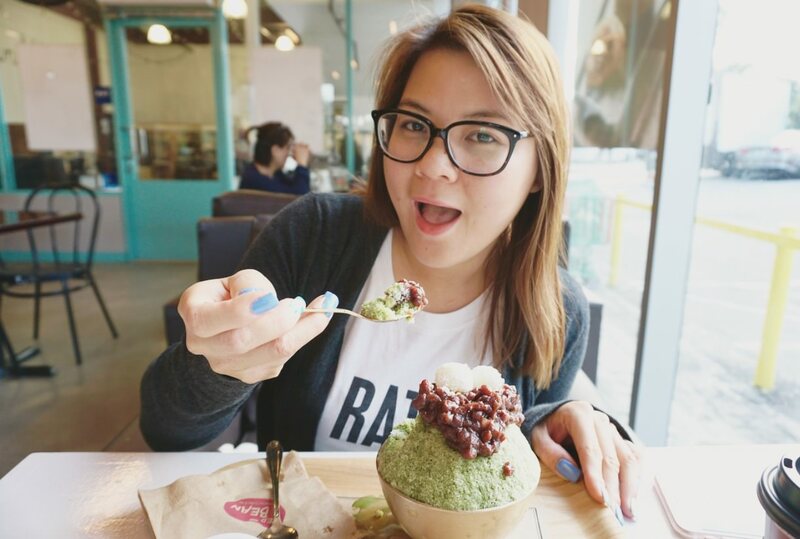 It's so easy to make and even easier to eat.